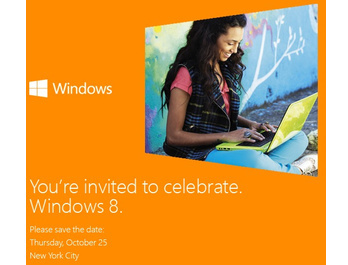 Microsoft has invited the press for an event on October 25th to launch Windows 8. The press event will take place in New York City, with the operating system expected to go on sale the next day. Additionally, it is rumored that Microsoft will hold a midnight launch event for its Windows RT-based Surface tablets. Donate and you will be blessed. Give me a thanks if I deserve it.